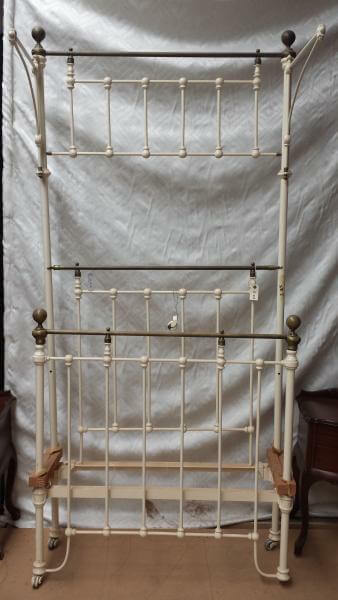 This bed is brass and iron, with the antique quarter-tester rail. For sale as is, un-restored, for an antique touch, or can be fully restored and powder coated to a range of colours of your choosing. Please enquire via our email or via phone listed on the contact us page.